Music is a powerful medium. It can raise spirits, it can move people to tears and it can evoke deep and lasting emotions. Music has always played an important part in the worship at St. Columba’s. Hymns give people the opportunity to praise God in a way that, as we get older, rarely happens – simply by singing. 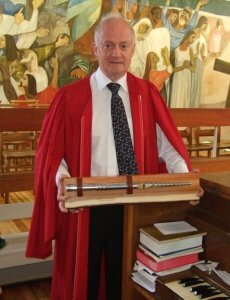 Over the years our music has taken many forms from children’s choirs, concerts, musicals and our stalwart Senior Choir under the more than capable hands of our Organist and Choirmaster, Eric Christie who in 2013, we are delighted to say, celebrated 50 years as our organist. 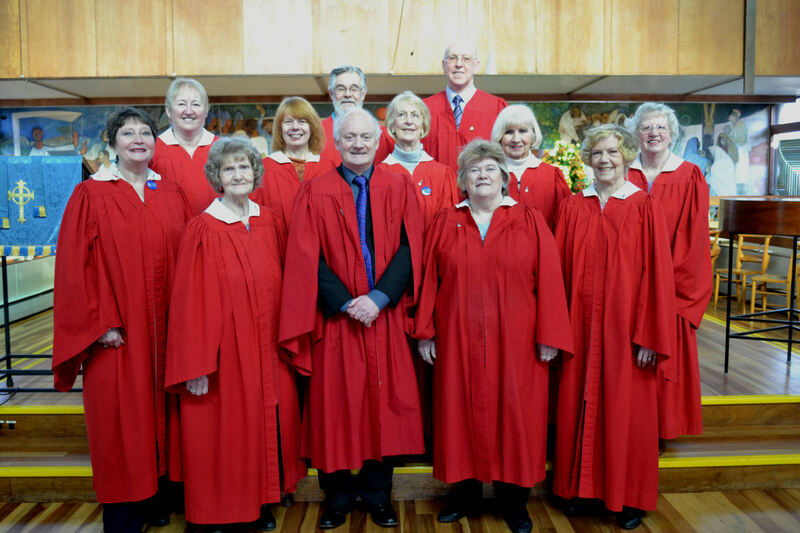 The choir has in the past entertained at Care Homes, Concerts and in religious musicals. 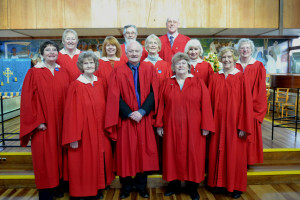 Recently, the choir performed a series of musicals, joined by fellow members of Rothes Trinity Parish Grouping. “ROCK” – the story of Peter, “Two Sisters and a Funeral” – the story of Lazarus and “From Pharaoh to Freedom” – the story of Passover, together it raised over £2,000 to help local and international needs. The choir usually start the Sunday Services with an introit and regularly perform anthems during the service, always to the worship of God and at least once a month Val Harley gives a delightful flute solo. The congregation too is a good singing group of people. We have always embraced change and move to new hymn books as they are published. The choir rehearses every Monday at 7:30 pm in the Bobby Brown room and we always welcome new members. You do not have to read music – just enjoy singing. The Choir has supported the Anthony Nolan Trust by way of Sponsored Sings raising over £2,500 over the past few years and will continue to support them.